Another collection is here for you today. This time it is dedicated to education and LMS WordPress themes available with a lot of features and possibilities. 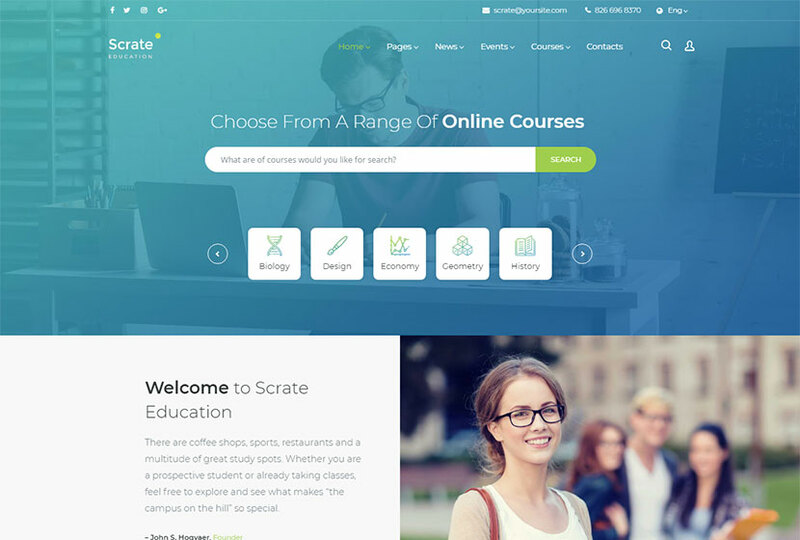 You can create a website either for online courses, university, school, college, or any other educational institution with the help of one of the following templates. So check them out now! A WordPress theme suitable for those who want to find a university in any location, look for distant professional courses or find a coach to hire. The theme comes with learning management system and a comprehensive search functionality. You can use the advanced search system to look for any education type or courses by category or a key phrase. The theme comes with a bunch of readymade page layouts you can use for introducing your team (About Us and Our Team), publishing information for teachers and tutors (Become a Teacher), sharing your goals (Our Mission) and much more. 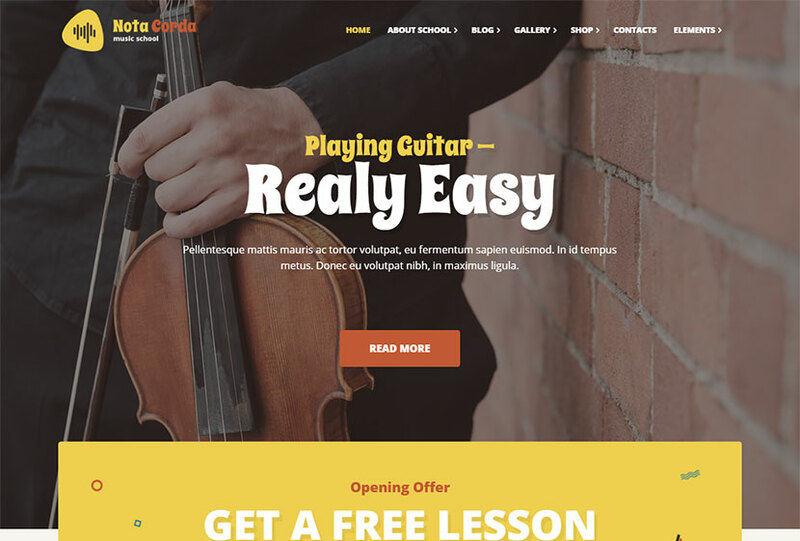 A modern and amazing WordPress theme created especially for music school, music academy, music teachers, musicians, conservatories, music store, guitarists, music lessons, etc. It can be also suitable for a school of fine arts, art school, photography school, lessons for photographers or others. The template includes 20+ unique shortcodes, galleries, blog, testimonials, products catalog, product page, about music school, shopping cart, order and more page layouts. It is also compatible with WPBakery page builder. A perfect WP template designed for colleges and other educational institutions. It is based on Bootstrap 3 and comes with responsive universal design created with attention to details. 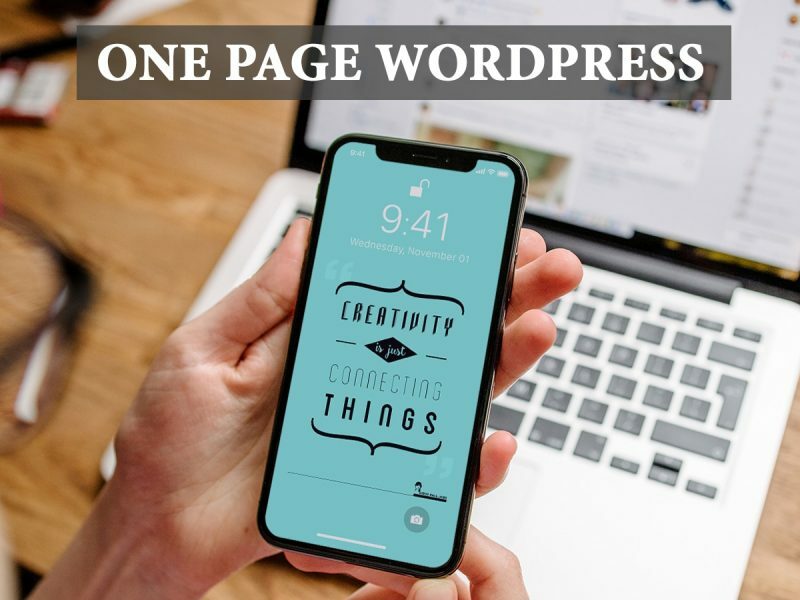 The features of the theme include the integration with WPBakery page builder plugin, so you can use an easy drag-and-drop interface to manage your pages. Redux framework theme options are available for the theme to configure and modify your website as you require. Magnific popup, parallax backgrounds, and many more features are available. A modern education LMS WordPress theme which is ideal for all types of schools and educational institutions. It comes with 9 pre-made homepage layouts designed for kindergartens, universities, online courses, etc. The features of the theme include a powerful admin panel, a large collection of home and inner pages, 1-click demo import, responsive and retina-ready design, extensive typography options, WPBakery page builder integration, Slider Revolution responsive WordPress plugin included, Events Calendar plugin, learning management system module, and many more features. A clean and modern LMS WordPress theme made for the university, college, high school, instructors and online courses. It provides awesome features for creating online courses, online shop, instructor profile, user profile, lesson management, quiz system, questions system, event management etc. The template comes with 11 predefined homepages including the demos for high school, online learning, one course, instructor, and others. It comes compatible with WPBakery plugin and Revolution Slider, 5 header and 5 footer layouts, unlimited live options, lots of color schemes, WooCommerce support, and many more features included. 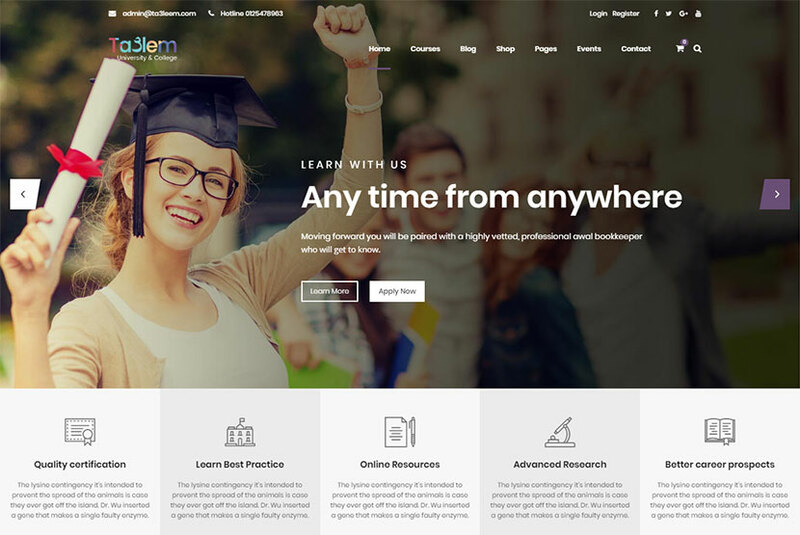 A modern and minimal education WordPress theme crafted for school, college or university. It can be also used for any other businesses or services. 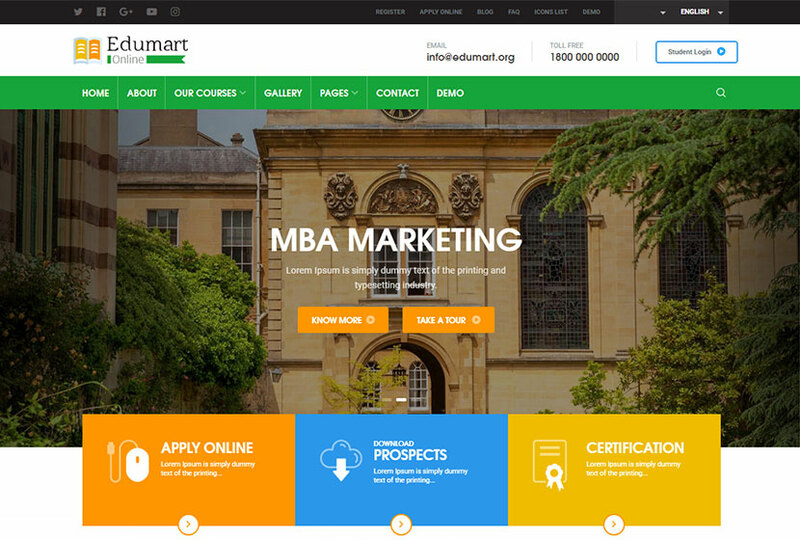 The template has a built in courses, admissions and events functionality. It allows to allocate seats to a course as well as accept admission requests. Allocated seats count on every course page is automatically adjusted based on accepted admissions to a course. The theme also includes custom forms for admissions and contact messages. It is integrated with WPBakery page builder plugin. 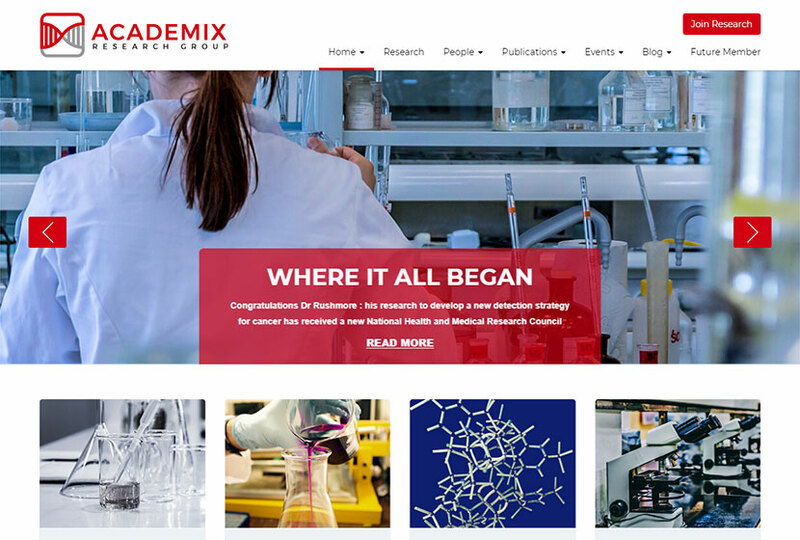 A well-curated education WordPress theme specially designed for research groups and professors academic websites of any kind. If you are working on a professor’s or a research group’s website project, this template is for you. The theme includes a lot of specific pages/sections like researcher group introduction, quick summary, highlighted projects, video summary section, fun facts, timeline option, research details, dedicated publications, journal paper and books index, researcher citing highlight, events page, join research group/apply for research contact form, and many more layouts and features. A WordPress theme based on Bootstrap and available with fully responsive design. 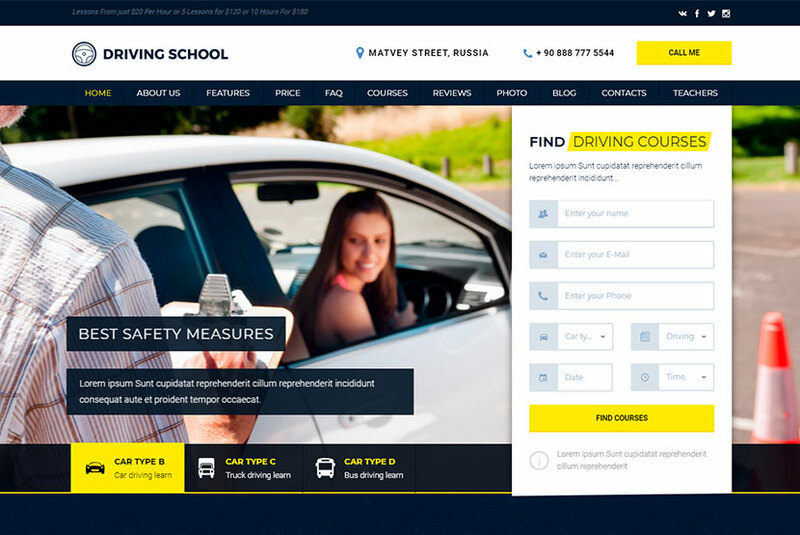 The template is quite suitable both for private driving teachers, autocourses and driving schools. 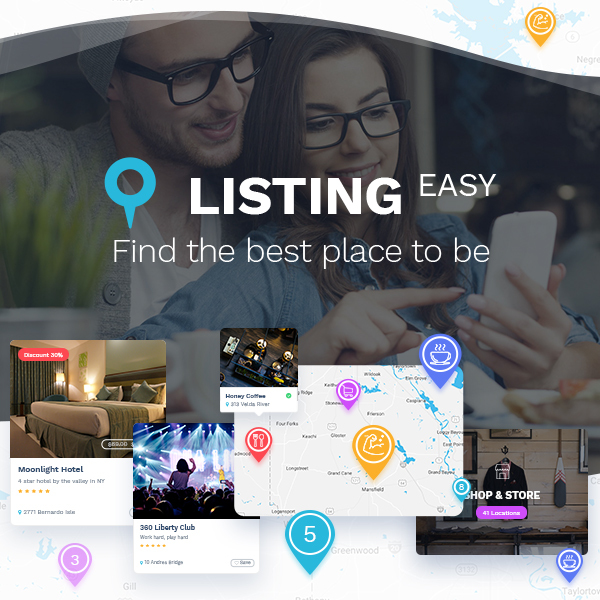 The key features of the theme include 6 homepage layouts, WPBakery page builder plugin, bucking records, time limited shares module, the module of searching for autoinstructors, HTML5/CSS3 technologies (powered by Bootstrap 3), Google maps integration, powerful admin panel, and many more advantages. 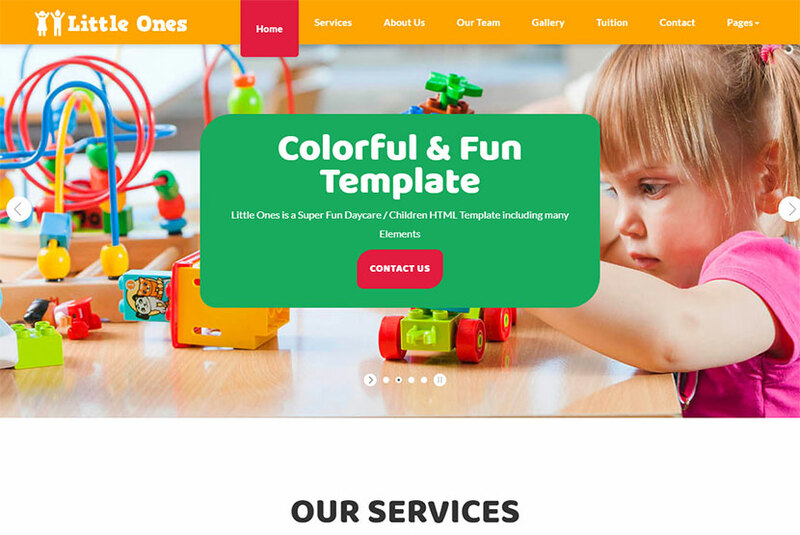 A colorful one-page WordPress theme made for any children related websites. The template includes many fun elements that are very easy to edit. You can use it for nursery, kindergarten, daycare, pre-school, arts and crafts classes, and more. The theme is built on Bootstrap framework which has powerful options making it completely customizable. It Includes 4 readymade color skins, but you can make your own color scheme easily. Boxed and full version, powerful theme options panel, WPBakery page builder, and more features and plugins are included. 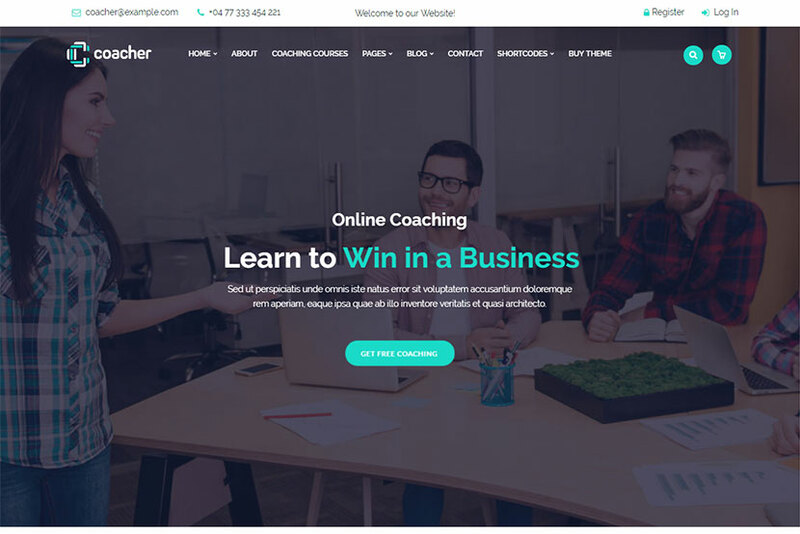 A WordPress theme especially designed for trainers and life coaching. It comes with 3 pre-made homepage layouts and a number of pre-configured inner pages for creating your website. As the theme is compatible with WooCommerce, you can use it to create your online store with the help of the readymade shop page templates. It is compatible with Events Calendar, WPBakery page builder, Slider Revolution with Dummy sliders, comes with Redux framework theme-options panel, unlimited sidebars, a lot of settings, Mailchimp integration, and more features. 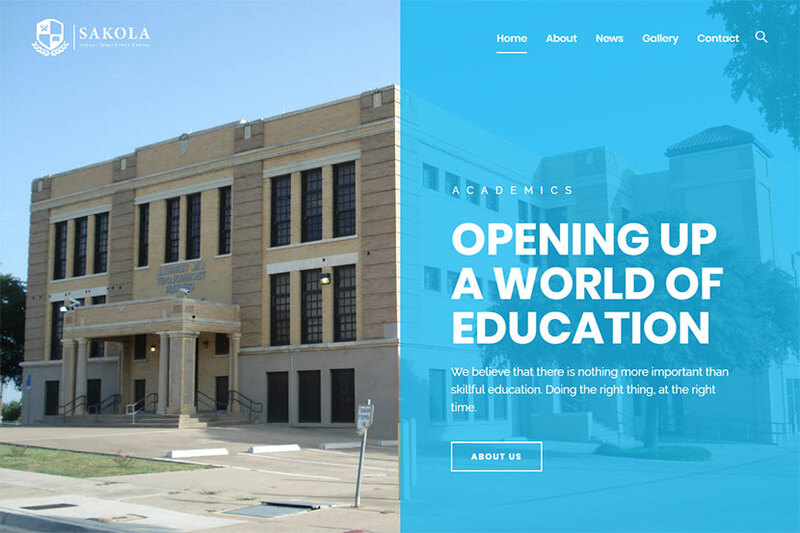 A school WordPress theme suitable for education purposes. The template comes with a drag and drop page builder for managing the page elements, making it easier to arrange your layouts. It is available with extensive theme options including header builder and footer options. Use the theme to show off your work with an easy-to-customize and fully featured design. You can either customize the theme by yourself or contact the authors and ask them to help you with website customization to make your web-page unique. 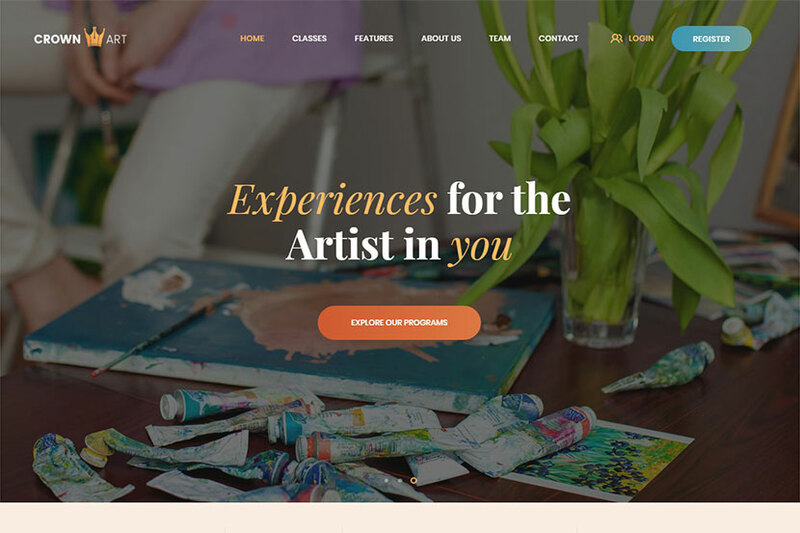 A modern and functional WP design crafted for a school of arts, music school, art classes for children, art studio or any creative community. The theme can be suitable both for private lessons and group classes. The template is compatible with Booked Appointments plugin to allow you build your own schedule and let your students book a class with you. It supports Events Calendar, which is a big plus if you need to build such kind of website. With Event Calendar you are able to inform your students about what’s going on at your school. 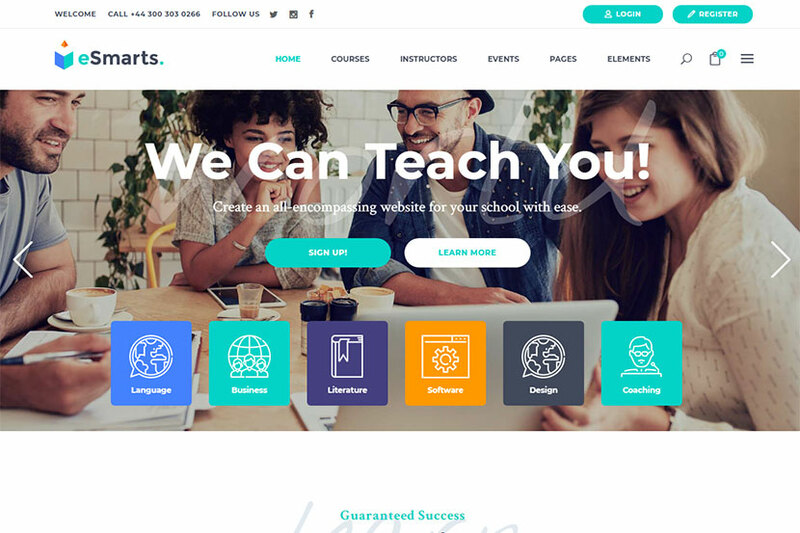 A modern multipurpose education WordPress theme suitable for creating a complete education website for university, college, or any types of schools. Use the theme to run either a fully featured online course/training or LMS based website. The template is available in 2 variations and you can launch your desired type of WordPress education website without any extra effort. It comes with 30+ sections, elements and pages for education website and with more than 25 of them – for LMS website. Powerful theme options, tons of ready to use built-in pages, WPBakery page builder, and many more features are available. 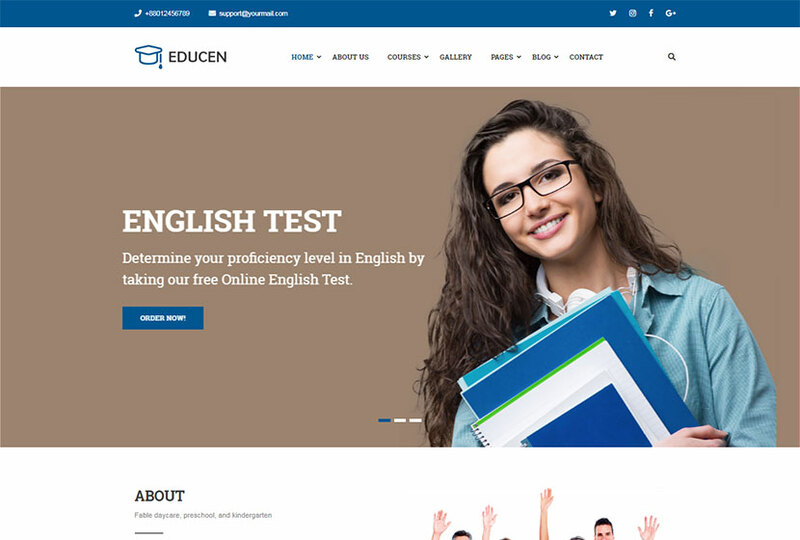 An education WordPress theme allowing to build whatever you like in academic, education, agency, school, college, study, teacher, university, and other related industries. The template is ultimately flexible with loads of nice options and features. 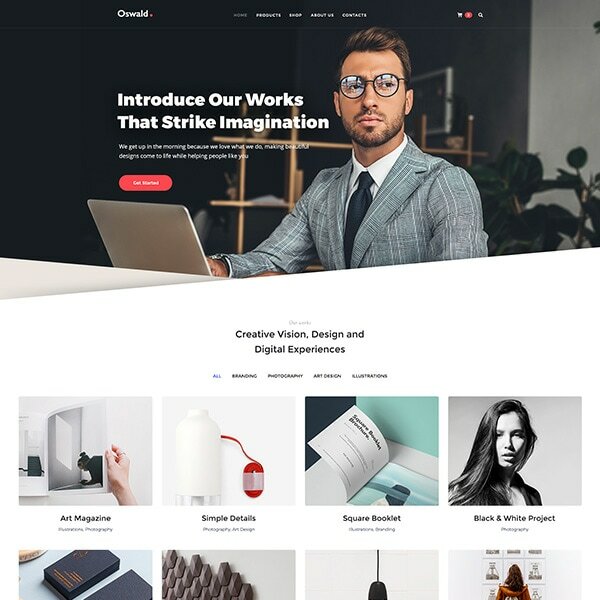 It includes a great bunch of features like preset page layout, unlimited colors customization, smooth scroll, carousel added, Contact Form 7 integration, flexible easy-to-use page options, a powerful theme page builder, unlimited colors for design & content elements, responsive visibility options, and many more virtues. 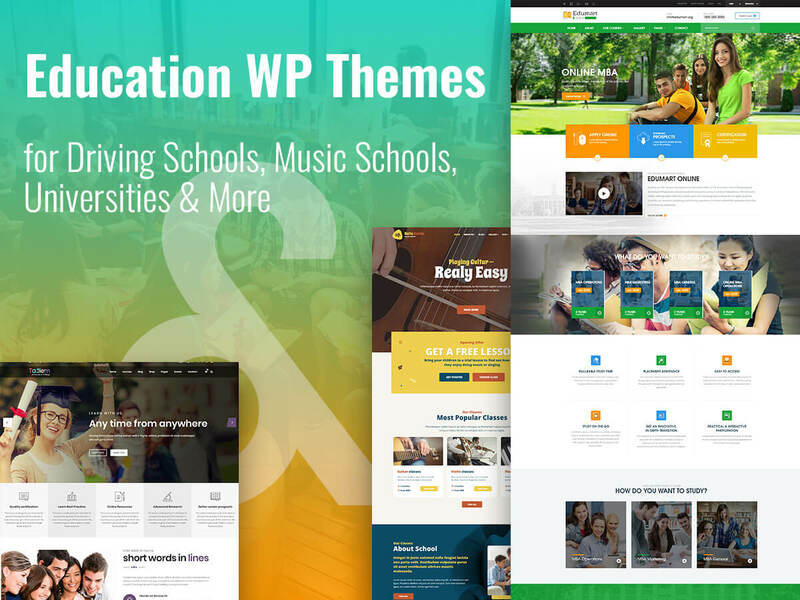 A powerful education WordPress theme for multiple purposes including school and education niches. With all of its features you can build something great. The template is made with W3C valid HTML code, comes with unlimited colors, buttons and menu customization, powerful page options, drag-and-drop functionality (40+ addons for the integrated King Composer), cross-browser compatibility and responsive design, carousel added, smooth scroll, and many more advantages. A colorful and mighty kindergarten and preschool WordPress theme perfect for making child related websites in a few moments. With this theme you don’t need to write a single line of code to get awesome results. The template is a feature-rich and versatile one which makes website design simple and fast. The WP Customizer and WPBakery page builder allow you make your website unique with speed and ease. You can edit and show your Events Calendar classes and scheduled activities. Much more brilliant features are also available. Hope you’ll be able to find the very theme you were looking for your education website. 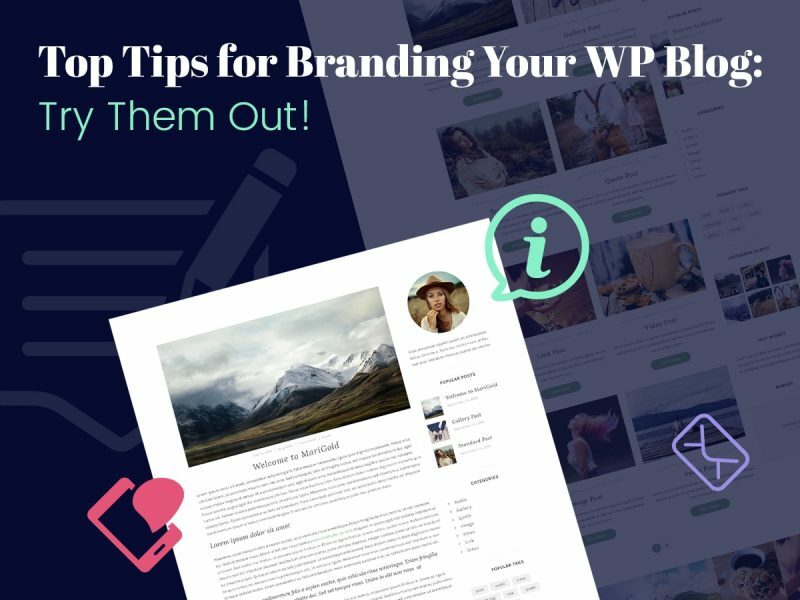 Top Tips for Branding Your WP Blog: Try Them Out!